One serving of buttermilk walnut coffee cake... supposedly. I guess I should revise my costing on yesterday’s post. I said that making cultured butter was about the same as purchasing the same amount. But there was actually two yields yesterday from making cultured butter. I made butter, of course, and as a “by-product” I also made buttermilk. Real buttermilk – not the stuff like you get at the grocery. So for $5.49 the result of my efforts was nearly 1 pound of butter and 2-3/4 cups of buttermilk. Homemade buttermilk isn’t the same as what you purchase. Commercial buttermilk is a thick, slightly sour product that most people wouldn’t want to drink. It has culture added to it to give it those properties. Homemade buttermilk is the liquid, with little fat, that is exuded when whipping cream to butter. Buttermilk has many uses in the kitchen. It can be used to marinate chicken, or substituted (partly) in ice cream recipes. It can be used in homemade salad dressings or added to mashed vegetables. It is also good when used in eggplant dishes, and substituted for milk in baked goods. I had a fair bit from my butter-making. Even if you buy buttermilk you’ll probably benefit from the list above. It usually works its way to the back of the refrigerator and is forgotten. The batter isn't very thick in the pan, but don't worry. 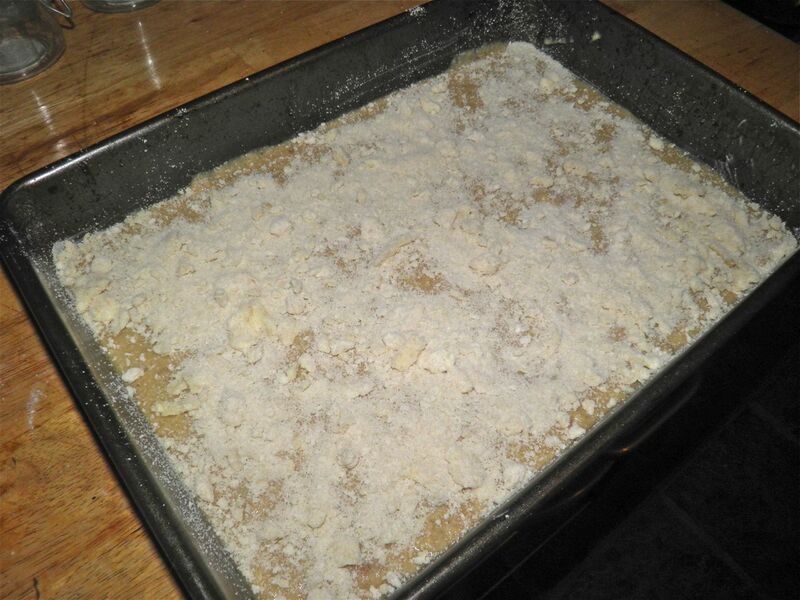 Last night I made coffee cake with some of mine. Good coffee cake, too. Coffee cake originated over time from honey cakes. By the late 1800s there were many recipes for “crumb” cakes and streusel cakes. 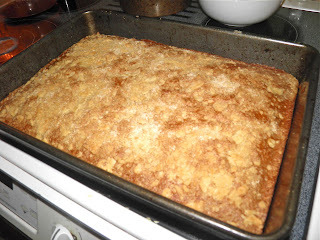 Crumb cakes have a crumbly topping (like this recipe) whereas streusel cakes have a swirl of brown sugar/cinnamon in the centre. 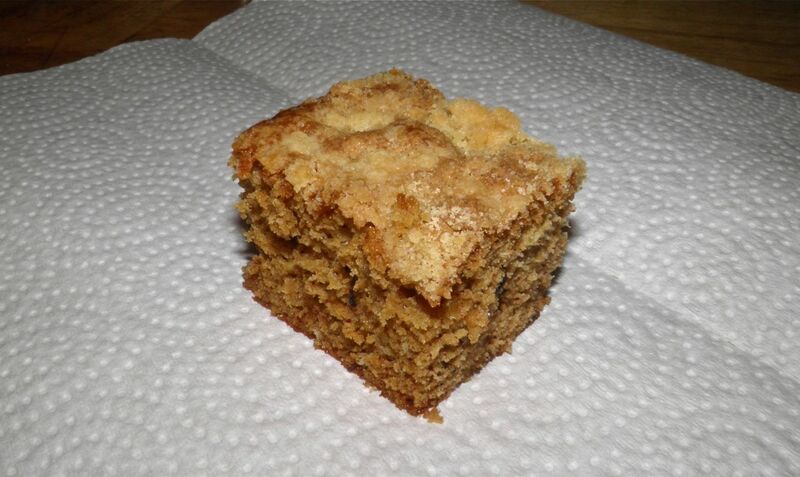 Interestingly, in North America we often call crumb cakes streusel cakes. The German word – streusel – actually means “granules” and refers to the crumbly topping on the cake. 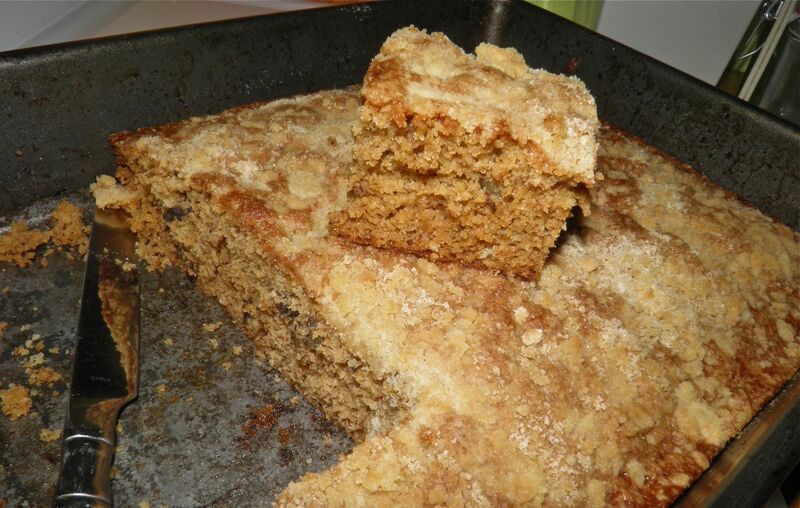 Regardless of what you may call it, coffee cake is great with – or without – coffee! The cake will raise to about 2" high. Preheat the oven to 350°F. Butter an ovenproof 13” x 9” baking pan. Combine the flour, brown sugar and salt in a large bowl. Cut the butter into the dry ingredients until the size of small peas. Remove 1/2 cup of the mixture and set aside. 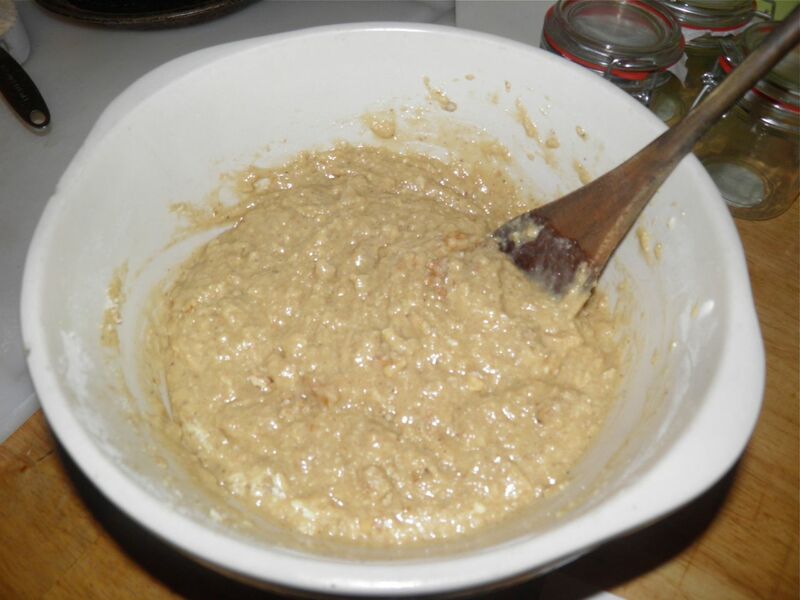 To the remaining flour mixture, add in the walnuts, baking powder, baking soda, cinnamon and allspice. Whisk together the eggs and both of the milks. Pour into the dry ingredients and mix together well. Pour the batter into the prepared pan and level out as best as you can. Sprinkle the reserved 1/2 cup of the flour/sugar/butter over the top. Bake for 40-45 minutes, or until a toothpick inserted in the centre of the cake comes out clean.